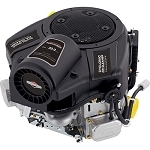 Briggs & Stratton 18 HP Vanguard Vertical OHV Engine delivers top performance to meet the demands of professionals. The OHV engine features a pressure lubrication system with an automotive full-flow style spin-on oil filter that cleans contaminants from the oil. U.S.A.
Crank Size: 1 in. x 3-5/32 in. 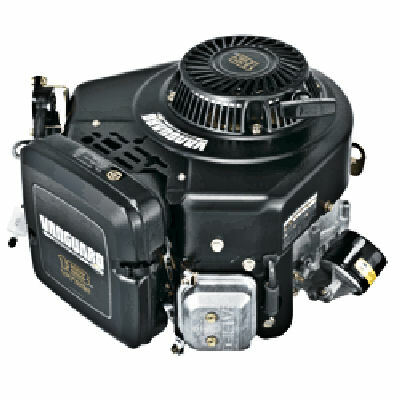 Dependable float feed type carburetor with integral fuel pump for remote mount fuel tank. 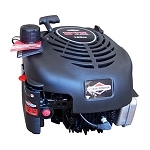 Maintenance-free Magnetron electronic ignition for quick, dependable starts. Dual-Clean air cleaner pleated paper filter with a foam pre-cleaner ensures maximum protection for extended engine life. 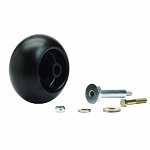 Full pressure lubrication with spin-on oil filter assures controlled lubrication for extended component life. 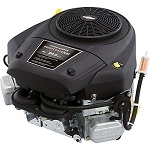 Buyer protection package provides Two year commercial engine warranty.